We enabled Comparethemarket.com’s meerkat mascot Aleksandr to hold his first live and interactive stream on Facebook Live. As part of the stream, viewers had the chance to win three pairs of tickets to the premiere of Murder on the Orient Express, at London’s Royal Albert Hall. 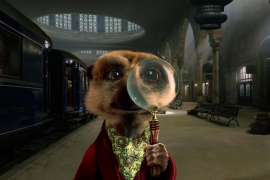 Using specially pre-recorded content Aleksandr appeared on screen to introduce each riddle. The audience were then able to vote on which questions they wanted Aleksandr to answer about the riddle. During this voting period viewers could hear Aleksandr commenting live on the voting and comments coming in from the Facebook audience. Once Aleksandr answered five questions, viewers could comment on the post with the hashtag #MeerkatMovies for a chance to win the tickets by solving the riddle. The Groovy Gecko Competition tool allowed us to track all correct entries, verify them and then pick a winner entirely at random.